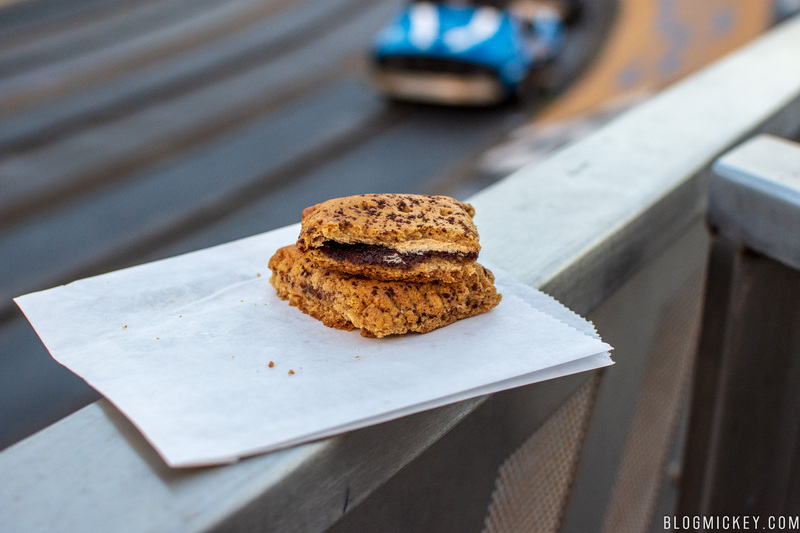 Hot on the heels of the success of the Millennial Pink Milkshake, Auntie Gravity’s Galactic Goodies is out with a new treat for guests with a sweet tooth in Tomorrowland. We visited last night in hopes of securing a Millennial Pink Milkshake, but ended up with the S’mores Pie instead. Let’s see if it’s worth your while. 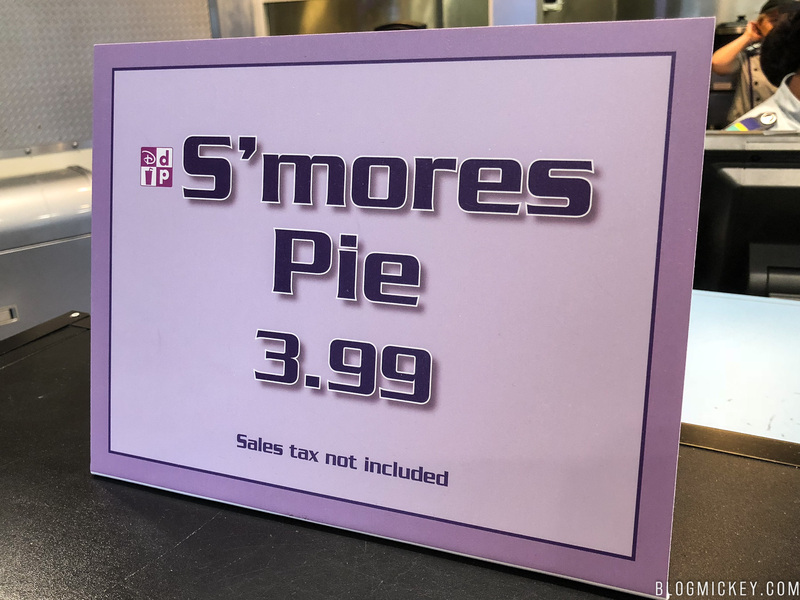 The s’mores pie is probably closer in composition to a toaster pastry or fig roll than an actual pie, but the flavoring is about as close to a s’mores flavor as we’ve had in recent memory at Walt Disney World. 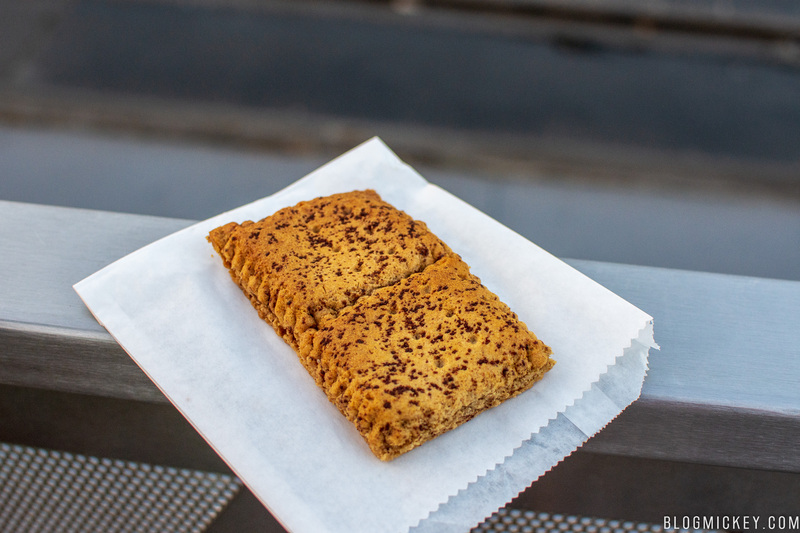 The outer layer provided a hint of graham cracker flavoring, but ended up being really dry. The chocolate and marshmallow inside combined for a losing effort to try and counteract the dry exterior. I actually liked the flavoring of the chocolate and marshmallow combo, but wished the offering as a whole wasn’t so dry and dehydrating. 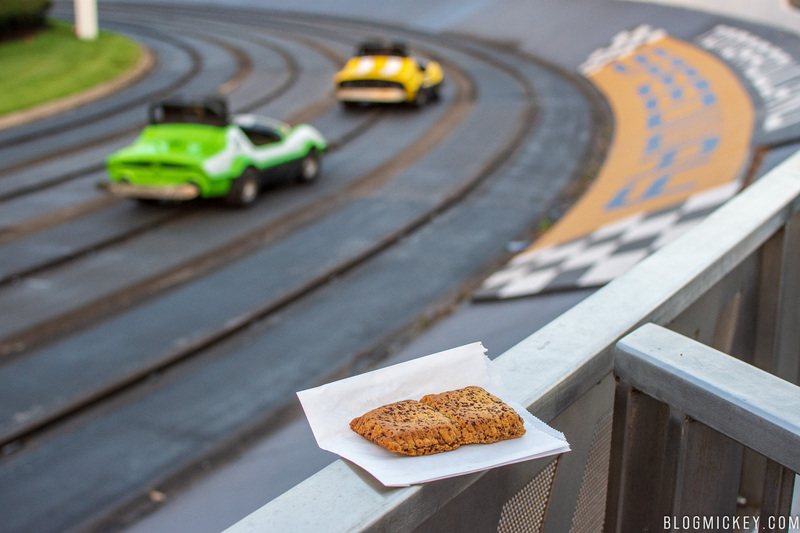 It comes served warm to hot, which would make for a nice winter treat, but maybe not something that Disney wants to introduce as we venture into the low-90’s here in Central Florida. At only 200 shakes produced per day, I’d actually like to see Auntie Gravity’s double their investment in the delicious Millennial Pink Milkshake and drop the s’mores pie for now. Overall, this treat earns a pass from us and we’d recommend carving out some time before 1pm or 2pm to get one of the few Millennial Pink Milkshakes made per day instead.